Games of Glory © 2014-2017 Lightbulb Crew SAS. 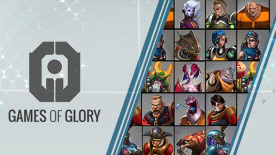 Games of Glory and its respective logos are trademarks or registered trademarks of Lightbulb Crew. in the United States of America and elsewhere. All rights reserved. All other trademarks and trade names are the properties of their respective owners.